University of Washington Voice and Opera will offer students an interactive voice masterclass with Morgan Smith, who plays Paul Jobs in Seattle Opera’s current production of The (R)evolution of Steve Jobs, composed by Mason Bates. Three advanced vocal performance students will obtain coaching from Smith, while also having the opportunity to learn tips on auditioning for companies, pursuing European performance careers, and balancing life/work in the strenuous field of opera performance. The masterclass will take place March 5, 2019 (Tuesday), 3:30-5 pm, and is free and open to the public at the UW School of Music, Brechemin Auditorium. This fascinating contemporary opera has already won the 2018 Grammy for Best Opera Recording. This entry was posted in Opera Theater, Updates, Visiting Artists & Scholars and tagged Masterclass on February 17, 2019 by wyersg. Shortly after winning the 2015 Grammy for Best Opera Recording, UW Senior Artist-in-Residence Stephen Stubbs has been nominated yet again, for his collaboration with Paul O’Dette and Boston Early Music Festival Orchestra on a CD featuring Agostino Steffani’s 3-act opera Niobe, regina di Tebe. This recording includes the stellar singing of Philippe Jaroussky and Karina Gauvin. 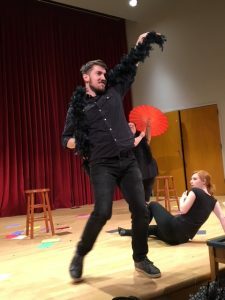 The University of Washington vocal department has been enjoying yearly collaborations with Stubbs, most recently with his production of Cavalli’s Calisto (directed by Zach Winokur) in January 2016. DMA, MM, and BM students of Kari Ragan, Tom Harper, and Cyndia Sieden sang the roles, accompanied by and ensemble early music instrumentalists led by Stubbs on harpsichord and Maxine Eilander on Baroque violin. 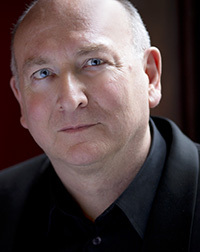 Stubbs has also been active in conducting the UW Chamber Singers in a series of Handel Messiah concerts last December. This entry was posted in Collaboration, Faculty, Opera Theater, Updates on January 19, 2016 by wyersg. Coloratura soprano Cyndia Sieden earns raves for singing that garners such superlatives as “pyrotechnic,” and “dizzying.” Her purity of tone and pitch-perfect musicianship allow her to move with ease from 18th-century composers such as Handel and Mozart, to complex 21st-century works by such masters as Thomas Adès and Esa-Pekka Salonen. She made her Metropolitan Opera debut as the protagonist in Berg’s Lulu, and returned to sing Queen of the Night in Mozart’s Die Zauberflöte. She made her Salzburg Festival debut in Ombra Felice, a fully staged production of Mozart concert arias, and returned to sing Aspasia in Jonathan Miller’s production of Mitridate re di Ponto, released on CD under the Salzburg Festival label. She appeared at New York City Opera in the title role of Handel’s Partenope, and Morton Feldman’s Neither. Contemporary opera remains a pillar of her activities. Her performances as Ariel in Adès’ The Tempest, which premiered at the Royal Opera House Covent Garden with the composer at the podium, astounded critics. London’s Daily Telegraph said, “her ability to keep control over the stratospherically high writing for Ariel [is] astonishing” and the Independent on Sunday “a miraculous combination of elegance, poignancy and chutzpah.” She appeared in subsequent performances in France, Denmark, and Santa Fe, reprising the role most recently for Oper Frankfurt. Other career highlights include the role of the Cat in Unsuk Chin’s Alice in Wonderland at Geneva Opera, and Wolfgang Rihm’s opera Dionysus at Netherlands Opera. She has garnered equally enthusiastic acclaim for more traditional roles, such as Queen of the Night in Die Zauberflöte and as Blondchen in Die Entfuhrung aus dem Serail. Her Archiv recordings of those works, conducted by John Eliot Gardiner, affirmed her status as a preeminent interpreter of Mozart. She has performed those roles at the world’s leading opera houses, including Munich’s Bayerische Staatsoper, Paris’s Opera Bastille, and London’s English National Opera as well as in Beijing and Australia. Ms. Sieden has sung in concert with the world’s most prestigious orchestras, including the Royal Concertgebouw Orchestra Amsterdam, Cleveland Orchestra, the Chicago, London, and San Francisco Symphonies, and New York’s Mostly Mozart Festival. 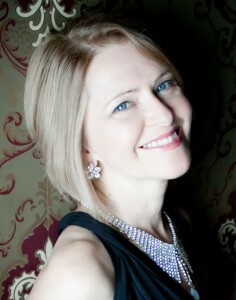 Ms. Sieden is much in demand for the oratorios of Handel, Mozart and Haydn; works of Bach; Mahler’s Symphony No. 8; and Orff’s Carmina Burana. She has also brought opera like Bernstein’s Candide, and Ariadne auf Naxos to the concert stage. With the Los Angeles Philharmonic, she has sung Esa-Pekka Salonen’s Wing on Wing on a European tour, and introduced Thomas Adès’s Scenes from The Tempest to the orchestral world. 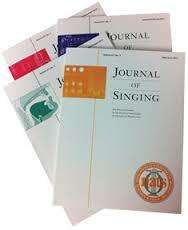 This entry was posted in Faculty, Opera Theater, Performances, Updates on September 5, 2014 by Vocal Performance.